A collection of reports and papers. This practice guide shows what innovation teams and labs do, and provides a practical introduction to establishing and running a new team or lab. This report tells the stories of 20 teams, units and funds established by governments and charged with making innovation happen. They work across the spectrum of innovation – from focusing on incremental improvements to aiming for radical transformations. The independent evaluation shows that despite being at an early stage of development, Project Oracle is well placed to make a real impact on decision making practice surrounding youth services in London. what should the what works network do? This paper recommends five things the What Works centres need to do to ensure they maximise their impact, and avoid the mistakes of past evidence initiatives. This paper outlines why the ‘What Works Network’ evidence centres are needed and the role they will play in policy making. This paper outlines why we need to explore a centre – or a network of evidence centres – which help to institutionalise evidence in the decision making process. This led to the UK Government creating the What Works Centres. The 10 things needed to improve the generation and use of evidence, from debunking the myths of RCTs, enabling innovation and evidence to co-exist, through to changing how we deal with failure and negative findings. 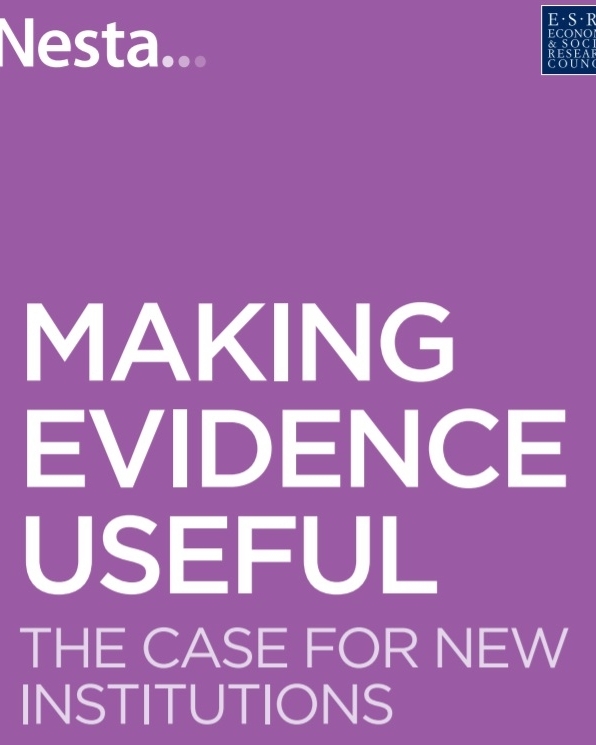 This report coincided with the launch of the Alliance for Useful Evidence. This paper provides an overview of the Nesta Standards of Evidence, an approach used to measure the impact of a range of our practical innovation programmes and investments. The frameworks aligns the stages of innovation with rigorous evaluation methods.